The liberated baby has arrived! 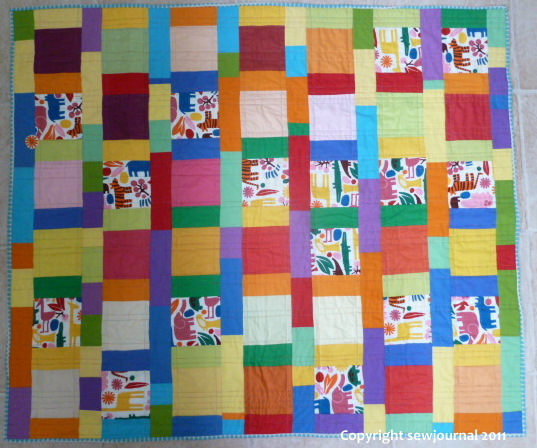 Remember the Liberated Baby Quilt? Well the recipient has arrived. Here is. Isn’t he cute? Despite looking quite small here he actually weighed over 4kg! I hope he likes his quilt. He slept the whole time I cuddled him and made some very cute adult facial expressions, furrowing his brows as though in weighty thought. Don’t forget the Quilt Auction! The Quilt Auction to help Angel James buy the rehab equipment she needs to continue improving her condition after the spinal stroke she suffered at age 19, is still going. We’re almost at the reserve. So far bids are up to $200. 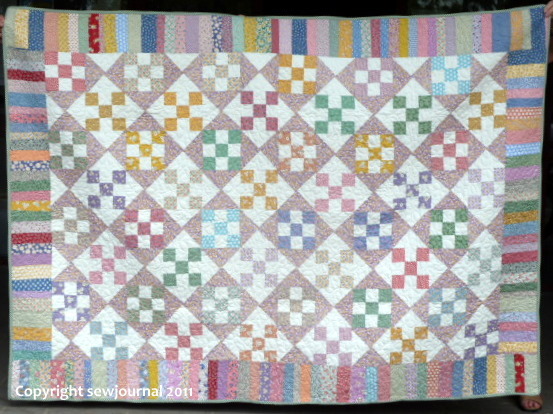 Please take time to read Angel’s story and please bid for this lovely quilt. Thanks to all bidders so far. I do hope we can raise a reasonable amount to help this inspiring young women. LOVE it!! He is darlin!! Welcome to the world little boy! Enjoy the quilt and the love wrapped in it.